Mary Anne Rooney, Harbor Commissioner at California’s Port of Hueneme, has been named President of the Association of Pacific Ports (APP), a trade and information association promoting increased efficiency and effectiveness of Pacific ports. Rooney, who previously served as APP’s Second Vice President, was selected at the group’s 102nd Annual Conference held in August in Kaohsiung, Taiwan. As a result, the Port of Hueneme will host APP’s Annual Conference in 2016. In 2014, Rooney became the first woman to be named President of the Board of Harbor Commissioners for the Port of Hueneme. 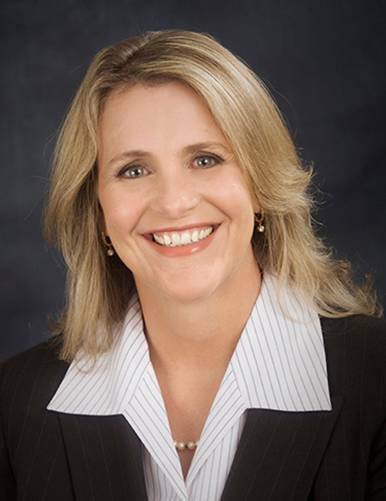 Her other roles include Economic Development Committee Member for the American Association of Port Authorities (AAPA); Board member of the World Affairs Council, California Central Coast Chapter; Vice President for the Ventura County Special Districts Association (VCSDA); President of the Oxnard/Ocotlan Sister City Committee. Rooney is also an independent strategic business consultant. Rooney earned a B.A. from UC Santa Barbara and M.A. from Azusa Pacific University. She holds a Certificate in Mediation and Negotiation and is a Certified Global Business Professional.